This is a hot seller at the restaurant, especially during those few winter months when the temperature drops. The whipped cream should not be stiff, but rather loose so that is spreads over the whole drink. Hold a large stemmed coffee mug upside down and rub rim with orange slice and discard. Place the cinnamon sugar on a small plate and place the wet rim onto the sugar so that it coats the rim. 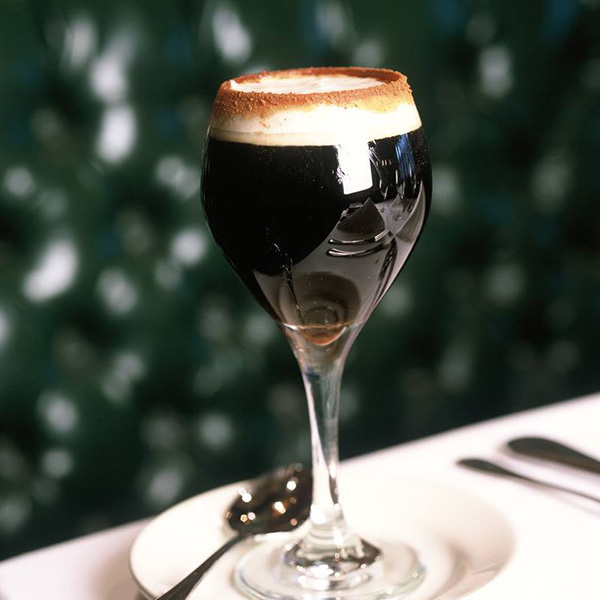 Pour coffee, Grand Marnier, and Amaretto into glass and top with whipped cream.